Chris Perdikos submitted this photo and caption. After the Long Island Kingsmen folded in 1984, many members went to march as members of other corps. 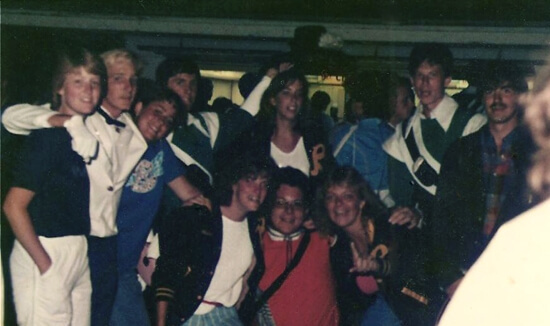 This photo of former Kingsmen was taken at the DCI East Finals in Allentown, Pa. in 1985.